The college football bowl season is over, as there’s one game left to play to determine whether Alabama or Clemson will take the national crown. That game will be played Jan. 7. Today, Wednesday, Jan. 2, 2019, marks the start of NCAAM conference play. There’s a big one on the Big 12 as the #5 Kansas Jayhawks (11-1 Overall, 0-0 Big 12) host the #23 Oklahoma Sooners (11-1 Overall, 0-0 Big 12). 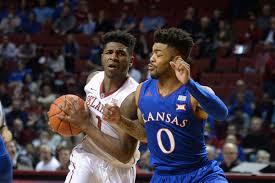 Our men’s college basketball Kansas vs Oklahoma pick has the Jayhawks at -8.0. The over/under ranges from 150.0 to 151.5. The teams tip off at 9 pm ET. 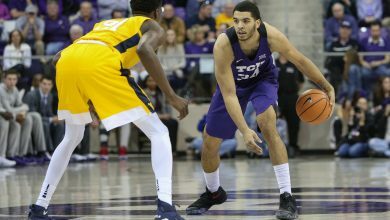 Here our breakdown of these two teams and tonight’s Big 12, top-25 matchup. Kansas has played four top-25 teams and beaten three of them. Their one loss was to #18 Arizona State 80-76 on Dec. 22. Their three wins were against #10 Michigan State (92-87), #5 Tennessee (87-81 OT), and #17 Villanova (74-71). Their last game, which was on Dec. 29, was an 87-63 win over Eastern Michigan. The Sooners have had a less challenging nonconference season than the Jayhawks. 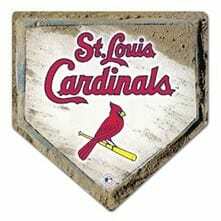 They did not open their season against a nationally-ranked team. Instead, they played and beat UT Rio Grande Valley 91-76. On Nov. 22, Oklahoma played #25 Wisconsin, losing to the Badgers 78-58. Their last game was on Dec. 21 against Northwestern. They beat the Huskies 76-69 in OT. The warning concerning these stats has to do with the fact that these two teams have had very different schedules. Kansas has faced much tougher competition and has had to perform at a higher level. When looking at these two teams, we find that on a basic level, the Jayhawks have outperformed the Sooners. Oklahoma is averaging 76.6 PPG, while Kansas have averaged 81.7 PPG, giving the Jayhawks a 5.1-point edge. Kansas is allowing 69.1 PPG and Oklahoma 66.1, giving the Sooners a three-point advantage in that category. Oklahoma is about plus-four over Kansas in rebounding. In creating our Kansas vs Oklahoma pick, we find field goal percentage is an important factor. The Jayhawks win that battle .487-to-.461. The Sooners are bringing down 43.2 RPG, while the Jayhawks are grabbing 39.5 RPG. 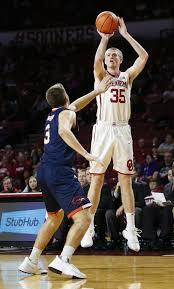 Oklahoma forward Brady Manek, a sophomore, tops the team in rebounds with 7.5 per game. He’s also averaging 10.8 PPG. The guy with the most points per game and second-most rebbies per contest is not in the frontcourt but in the back. That’s guard Christian James. He’s averaging 7.2 RPG and 17.9 PPG. Senior center Jamuni McNeace and junior forward Kristian Doolittle are averaging 5.5 RPG and 5.8 RPG and 7.7 PPG and 7.2 PPG respectively. The Kansas front is impressive. First, there’s forward Dedric Lawson, who is averaging a double-double. Lawson has been good for 19.6 PPG and 10.8 RPG. Junior center Udoka Azubuike, who missed four games with an ankle injury, is taking in 6.5 RPG while scoring 14.1 PPG. Lawson is a 52% shooter from the floor and Azubuike is making 70% of his shots. 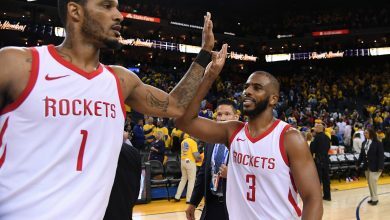 This is a formidable duo when both are healthy. 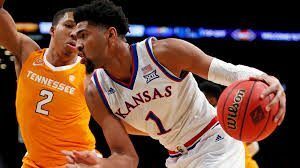 Our Kansas vs Oklahoma pick notes that both free throws and three-point success rates could be a difference maker in this contest. If it comes down to frees, then the Jayhawks have had more success, .688-to-.669. In threes, the Sooners are a bit better, .369-to-.357. Neither edge is overwhelming. For Kansas, Legerald Vick is deadly from downtown, hitting .468. Vick is averaging 15.8 PPG, which is second-most points per game on the team. Although there are a few players on the Sooners with a better success rate for threes than James, he is the leading scorer (17.9 PPG) and averaged the most minutes (32.1 MPG). James is connecting at a rate og .367. Our Kansas vs Oklahoma pick gives the Jayhawks a bit of and overall edge in the free throw and three-point areas. 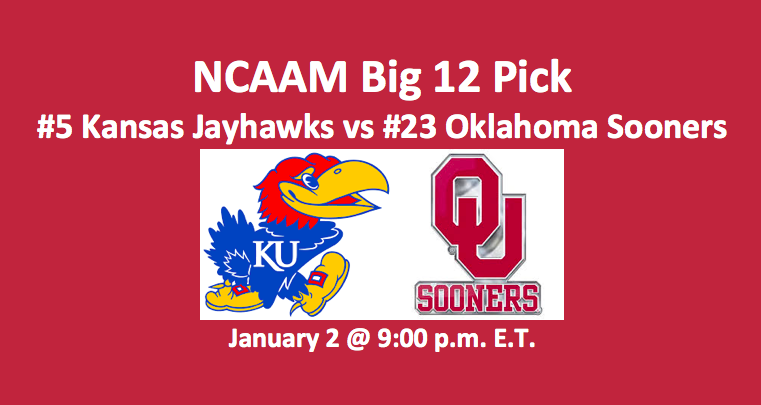 Our Kansas vs Oklahoma pick is going to be the Jayhawks at home at Allen Fieldhouse in Lawrence, KS. We’re taking them at -8.0. As far as the totals bet is concerned, we’re thinking that the Jayhawks should be good for about 88 points today. The Sooners look to score about 70. That means we’re going with over 151.0.